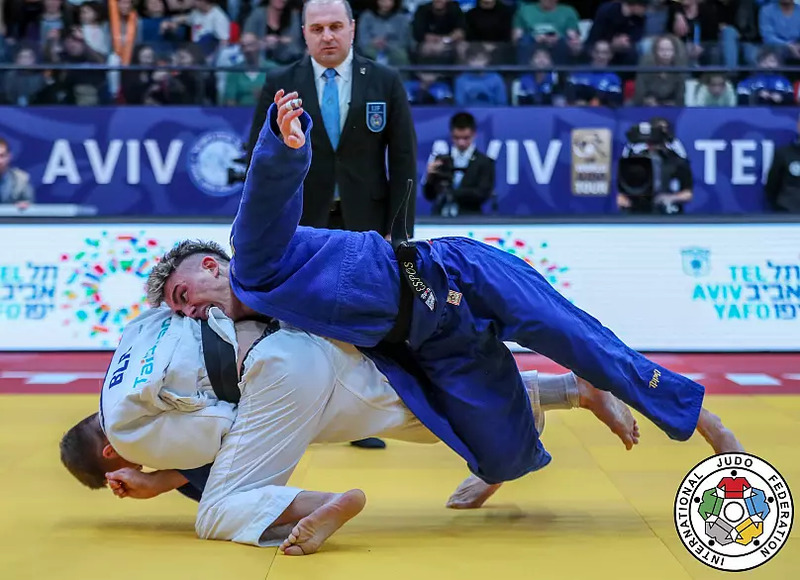 Passion and power dominated proceedings on Day 2 of the Tel Aviv Grand Prix, with the Shlomo arena again packed full for another fantastic day of thrilling judo. Maria Centracchio of Italy was our Woman of the Day. She took on home favourite Inbal Shemesh for gold in the -63kg category. 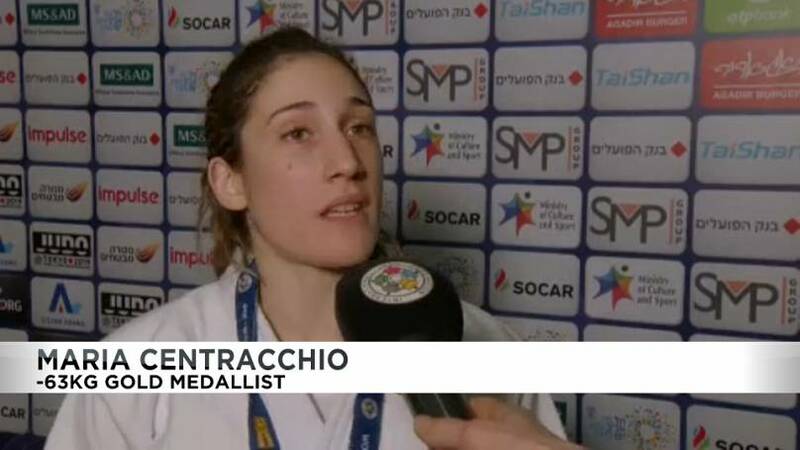 After a long and tough contest Tashkent Grand Prix silver medallist Centracchio executed a brilliant sumi-gaeshi to earn Italy's first spot on top of the podium in Tel Aviv. A proud Centracchio was awarded her gold medal by IJF President Mr Marius Vizer. "Today was a special day. I came here to win because two weeks ago I lost my uncle and I can't stay with my family because I was preparing this competition. So today I came with the intention to remember this moment like this. So it was like a special moment for me," said Maria Centracchio in an interview. Our Man of the Day was home favourite Sagi Muki. He squared up against Ivaylo Ivanov of Bulgaria in the -81kg final and made it look easy. Stepping all the way across his opponent, Muki performed an enormous sode tsuri komi goshi, a powerful attack of just the sleeve grips. An elated crowd were brought to their feet, chanting his name. Sagi Muki - a hero for the Israeli fans. It was an absolutely incredible performance from Muki all day, and to do it with all the pressure of an expectant public was an impressive feat. He was clearly delighted after picking multiple World Tour gold medallist Ivanov up off the ground and front flipping to get the Ippon. Muki was awarded his gold medal by Sylvan Adams, a sport philanthropist in Israel. "It's so emotional to win in Israel, this competition. You can see what happened after. I'm so happy that I bring my judo here. 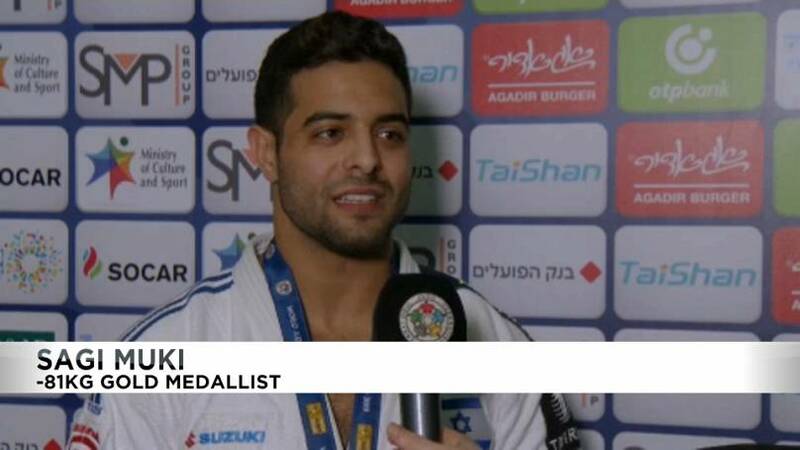 The expectations from the crowd, pfff, to know that my family is in the crowd and all the Israeli pressure, it was not easy but I'm happy that I deal with it and that I took the crowd with me and make my judo to the best performance," said Sagi Muki in an interview. In the -70kg category, Sweden’s Anna Bernholm was victorious, as she countered Alice Bellandi, denying Italy a second gold medal. Osaka Grand Slam silver medallist Bernholm was absolutely thrilled to take her second Grand Prix gold, and Sweden’s first one of the year. The surprise element of the day came from Belarus' Vadzim Shoka, who took his first ever IJF World Judo Tour gold in the -73kg division. A strong counter to Italy’s Giovanni Esposito saw Shoka clinch victory in the final seconds of the contest after he wrapped his opponent's arm and fully committed, getting the all important score and the gold medal. Sami Chouchi of Belgium is no stranger to taking Move of the Day, earning it late last year at the Cancun Grand Prix. Today it was a powerful osoto, bringing the Israeli crowd to their feet in appreciation. 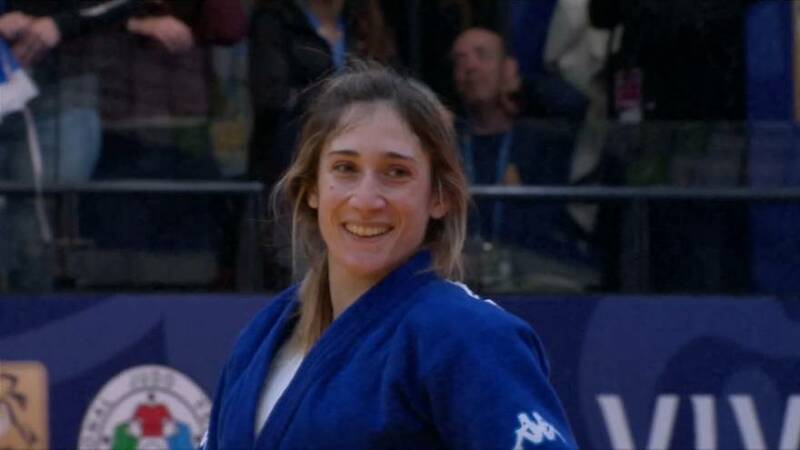 All in all it was another thrilling day of judo in Tel Aviv, with Israeli and international fans eagerly awaiting the third and final day of the Grand Prix tournament.